Palace Resorts is launching a new All-Inclusive Collection, which will act as the sales and marketing arm of its all-inclusive Hard Rock Hotels. 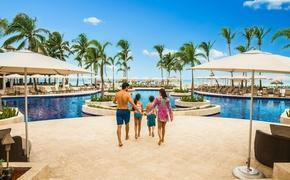 Properties include Hard Rock Hotel & Casino Punta Cana in the Dominican Republic and three Mexico properties set to launch in 2012 and 2013 -- Hard Rock Hotel Cancun, Hard Rock Hotel Vallarta and Hard Rock Hotel Riviera Maya. The new collection is led by Chief Operating Officer Rafael Chapur, son of Roberto Chapur, who created the Palace Resorts brand in Mexico more than 25 years ago. "When Hard Rock International and Palace Resorts joined together to form a business partnership and create the world's first all inclusive Hard Rock Hotel in the Dominican Republic, we knew the experience would be unlike anything else in the industry," said Rafael Chapur. "The All-Inclusive Collection was developed out of the need to market these unique properties differently than those in the Palace Resorts collection, while creating healthy competition within the marketplace." While initially focused on the world's first-ever all-inclusive Hard Rock Hotels, the All-Inclusive Collection plans to expand its portfolio in Mexico and the Caribbean with new luxury resorts. The All-Inclusive Collection will be led by an executive team that includes the following: Chief Operating Officer Rafael Chapur, Vice President Marketing Frank Maduro, Vice President Group Sales Ginny Davit, Director of Sales Julie Vieyto, Brand Manager, Andrea Chapur, Public Relations Manager Linda Villafane, Director of North American Field Sales Ash Tembe.